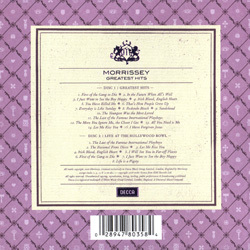 The live songs on the second cd of the 2-cd set above were recorded at the Hollywood Bowl on 8 June 2007. 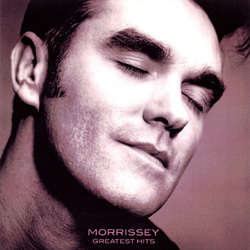 Otherwise unavailable live versions of "Irish Blood, English Heart" and "First Of The Gang To Die" from Las Vegas 9 June 2007 were given away by registering with the official "It's Morrissey's World webpage during the weeks preceding the release of this album. The "Deluxe Version" of this album as sold on iTunes USA features 17 tracks in total. 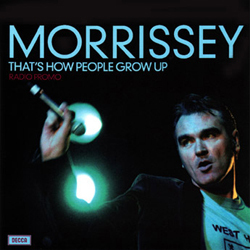 Instead of the bonus live tracks found on the deluxe compact disc edition, the digital deluxe package features as bonuses "That's How People Grow Up" live from Las Vegas (9 June 2007) and the video for "That's How People Grow Up". Ringtones of all the first disc tracks were available for purchase in the USA at the time of release of the album. The European double LP set (usually has a 'Made in Germany' sticker on it) omits to list "Redondo Beach" on the label although the song is still featured on the record. The European and the UK editions have the same catalogue numbers and barcodes, but the UK edition also has the line "Decca is a registered trademark of Decca Music Group Limited, London, England. A Universal Music Company" on the back. 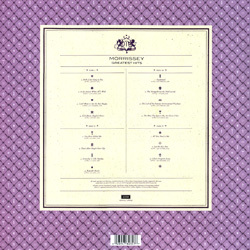 Other differences are that on the UK edition the little "M" seal with the lions is just printed in purple ink instead of metallic ink, and the song titles are in purple ink, while on the Euro edition the song titles are printed in black ink. Front photography is credited as 'unknown' and a note in the release states that the copyright holder may contact Decca for acknowledgement. The photographer turned out to be Paul Spencer and the photo dates back circa 1994. The limited edition and LP have the title on the front in shiny purple instead of grey. Band photograph shot by Morrissey: the full photo appears in the regular cd booklet and a cropped version appears in the LP and limited edition cd (see left). Morrissey's arse photographed by Jake Walters. According to the sleeve designers: "The back cover and inner bags were made to ape the Penguin Poets series with their Elizabeth Friedlander designed covers. 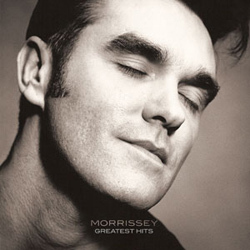 The intent was to link Morrissey’s back catalogue with the classics of British poetry and literature, albeit with a modern spin." There are no etchings on the vinyl editions of this album, but the words "WE ARE YOUR THOUGHTS" appear between the runout grooves of the UK/Euro cd label artwork which is a mock-up of a 45rpm record. UK/Europe: A promo cd with the full track listing of the regular edition was sent around for promotional purposes. The cd (numbered SKL6005D00289 4780359 1) has plain black text on it and is slipped inside a plastic pouch with an insert displaying the album's regular artwork on one side and track listing and credits on the back, in plain black text over white. Argentina: Promotional compact discs are stamped "Venta Prohibida". Australia: A one-track promo cd of "That's How People Grow Up" was sent to media shortly before the release of the album. The cd has the usual cover artwork printed on its surface and is slipped inside a pvc sleeve with no insert. Germany: A UK promo cd as described above with a German promo sticker was distributed for promotion of this album in Germany. Japan: A promo cd-r of the one-cd edition came in a jewel came with a simple insert showing the album's artwork on one side and credits inside (no catalogue number). 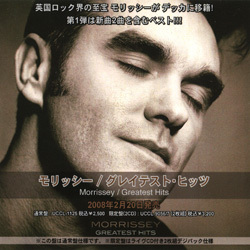 Copies of the 2-cd edition with promo sticker on the back of the sleeve (and perhaps some promo warning on the disc) have also served to promote this album in Japan. Thailand: Promotional copies of the cd have "Promotional Use Only Not For Sale" printed on the inner ring. USA: The album was promoted in the USA with the help of a one-track promo cd of "That's How People Grow Up" (catalogue no: M1; view artwork in left frame) and with a version of the full album in a slimline jewel case. The insert for the latter promo has the normal artwork on the front and the track listing and credits inside, in black and white. The cd has plain black text.